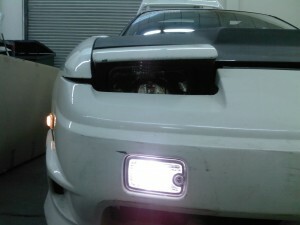 If you have a bumper that requires these lights. 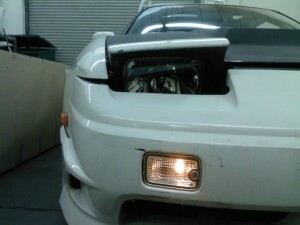 (kouki 180sx or several other aftermarket 180sx bumpers) then you know that these stock lights are just position lights. The turn signals are down lower in the openings. I HATED the stock kouki turn signals, so I sold them. This left me with no turn signal which I was not going to accept. 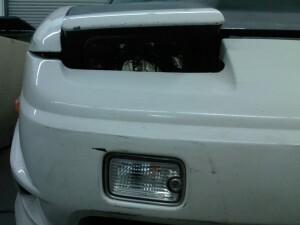 DMAX came to the rescue and offered these dual socket lights. One is for the turn signal, one is for the position light. 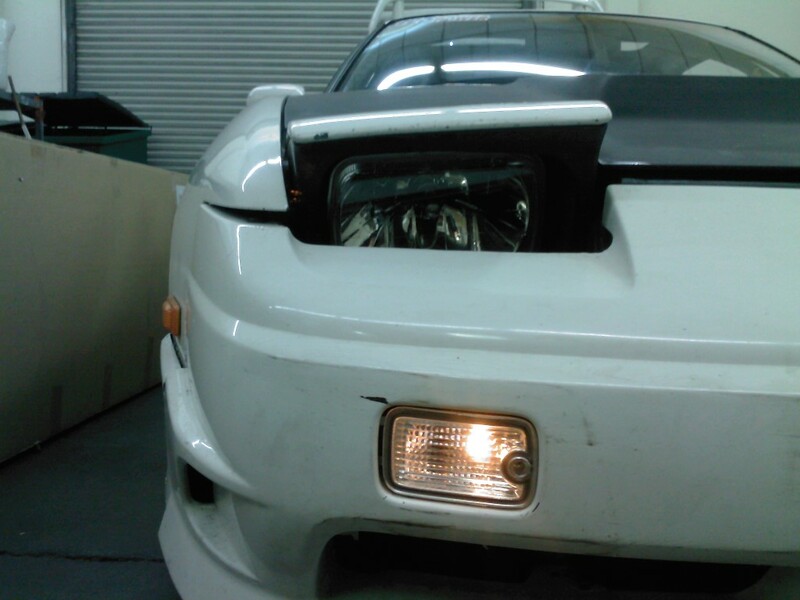 The position light is the same as the stock kouki one. 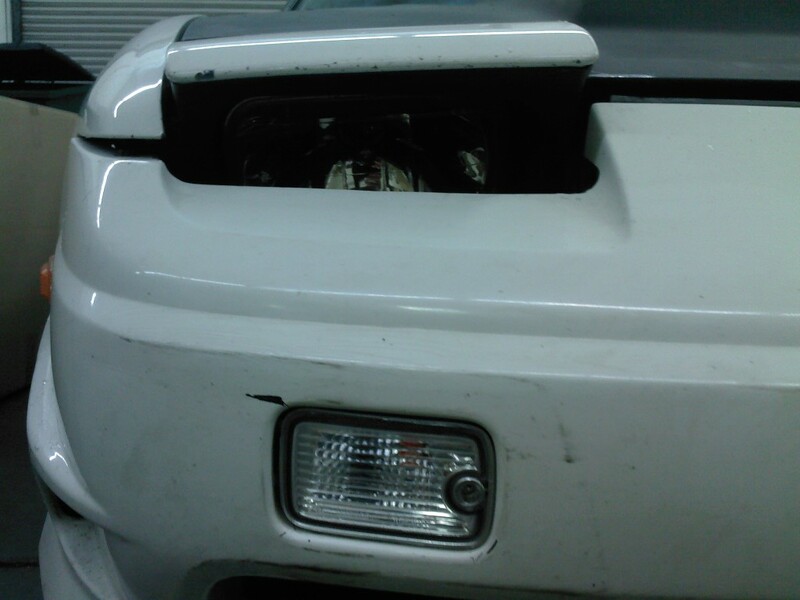 The turn signal just needs to be spliced into the stock signal wiring.